An increasing number of women manage industrial facilities, major companies and build their own successful businesses in Romania nowadays. They have achieved a high level of recognition. Therefore Business Arena Magazine proudly announces the upcoming special awards gala dedicated to the ladies that make a difference in business. Experts agree that Romania has seen some improvement in gender equality in recent years, but efforts must still be made to ensure equal opportunities for men and women in the workplace. Commenting on the findings of the latest Gender Equality Index, Virginija Langbakk, Director of European Institute for Gender Equality (EIGE), said: "We are moving forward at a snail’s pace. We are still a long way off from reaching a gender-equal society and all countries in the European Union have room to improve. In some areas, the gaps are even bigger than ten years ago. Our Gender Equality Index clearly shows whether government policies are matching the specific needs of women and men and whether they are working or not." The updated Gender Equality Index shows that the EU’s score is just four points higher than ten years ago, now 66.2 out of 100. The top performing country is Sweden with a score of 82.6, while Greece moved to the bottom with 50 points. The award for the most improved country goes to Italy, which made a big leap and gained 12.9 points to place itself at rank 14 on the ladder. 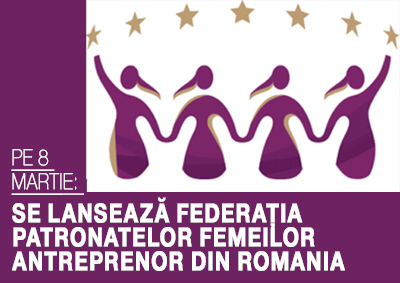 In this context, Business Arena continues its tradition, celebrating women’s achievements and their vital contribution to the success of business and banking activities throughout Romania. On this note, our publication proudly announces the upcoming special awards gala dedicated to the ladies that make a difference in business. 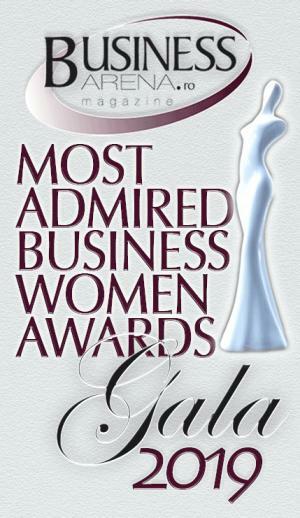 The Most Admired Business Women Awards Gala 2019 will bring together entrepreneurs, investors, business leaders, diplomats, and professionals from a wide range of sectors to celebrate the successes of women in business. Here are the top nominees as determined by our readers’ votes so far. the listed categories and send us your choices. Please send in your own nominees to cosmin.stangaciu@business-arena.ro. at cosmin.stangaciu@business-arena.ro or phone 0755.274.125.